The Pentek DGD-5005-20 - Gradient 20 Inch Water Filter is a well water filter that works as both a pre- and post- filter, eliminating the need for step-down filtration systems in your home. The outer layer of this filter is a 50 micron pre-filter that takes out larger sediment and reduces the load on the 5 micron inner-layer post filter so that it can operate more efficiently. The pure polypropylene construction of this whole house water filter makes it resistant to chemicals and corrosion. The Aries 20" KDF/GAC 5lb Filter AF-20-2015-BB is a drinking water filter catridge made of 5 pounds of KDF mixed with granular activated carbon (GAC). 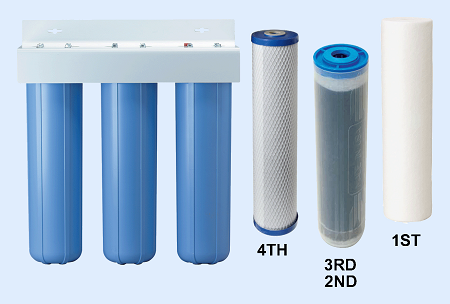 This KDF/GAC filter cartridge replacement reduces chlorine, bad taste and odor, and water-soluble heavy metals, and also controls scale, bacteria, and algae in your drinking water. 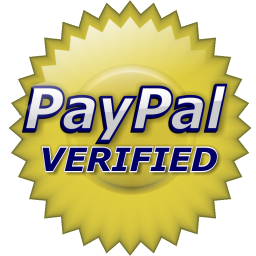 This Aries speciality filter provides you with clean, pure, great tasting drinking water. 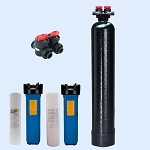 Pentek, EP-20BB Carbon Briquette Filter Cartridge is designed to reduce and remove Chlorine taste & Odor as well as dirt, sand, and sediment from your household water. As part of the "EP Series" the EP-20BB uses "Endurawrap", a unique polyolefin bilaminate pre-filter that actually increases the filters life by trapping sediment more effectively. Dimensions: 20" x 4 5/8"